This Data Privacy Day, highly rated VPN service, IPVanish are offering a massive 66% off their service. Data Privacy Day is held annually on the 28th January and is an effort to raise awareness of online data privacy. With data breaches and privacy issues often arising from what users themselves share and put on the internet it’s a worthwhile cause that we can all back. Protecting your online privacy can be done in a manner of ways and one of the best is by always using a VPN either when using the internet publicly or as a matter of cause. You can save a huge 66% off IPVanish for Data Privacy Day between the 21st January – 29th January. All you need to do to take advantage of the deal is click the link below. 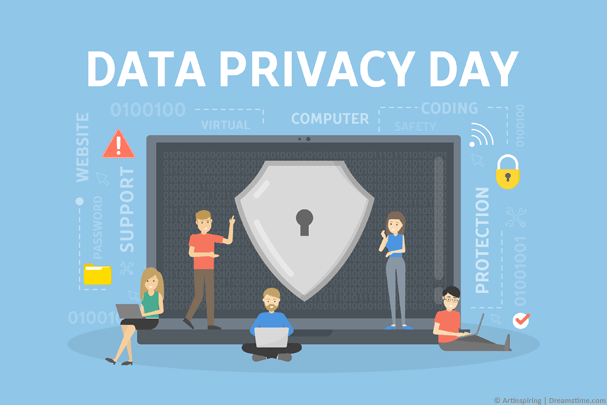 Data Privacy Day is an event spearheaded by the National Cyber Security Alliance (NCSA) via their Stay Safe Online outlet and brings together organisations across the world in an effort to raise awareness of data privacy. Organisations include non-profit, industry leaders and even influential individuals all doing their bit to raise awareness of how to protect your online personal data. The day began in the United States and Canada 11 years ago and has taken part every year. Growing ever bigger and expanding its reach year on year. With online data privacy issues becoming widespread more individuals than ever are concerned about how their personal data is handled. Data Privacy Day is part of the NCSA’s STOP. THINK. CONNECT. ™ initiative educating users about their online privacy and security. The day aims to raise awareness that personal data is like money and all users and organisations should be treating it and securing it with the same respect. To find out more about what you can do to get involved or how to protect your data privacy, head over to the Stay Safe Online Data Privacy Day page. IPVanish VPN is one of the leading providers of online privacy protection tools. Founded in 2012 the service has become one of the most well-known VPN service providers in the industry. In our own recent tests, they scored one of our highest review scores and we especially commended them for their fast speeds. The VPN service offers connection points in over 47 countries with more than 1,100 individual VPN servers aimed at protecting your privacy. By using a VPN from IPVanish your internet use is tunnelled through a third-party secure location striping your location information and encrypting your data as it travels from your own device to the VPN server. By taking advantage of IPVanish’s Data Privacy Day promotion you can save 66% off their regular price and get 2-years of privacy protection for as little as $4.12 per month (~£3.20). The service works across all device types allowing you to protect your online privacy across desktop, laptop, tablet, mobile and even some TV media boxes. Get the deal now by following the activation link below.